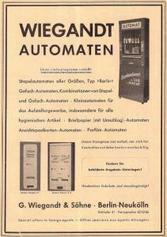 Manual for the Wiegandt ​Automaten Tonmaster jukebox. 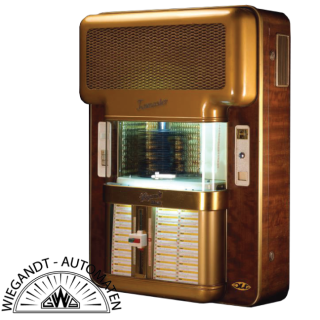 In the early 1950s They Also did invest in production and jukebox did present the first German model in 9 / 1,952th No foreign licenses had been used for doing that. 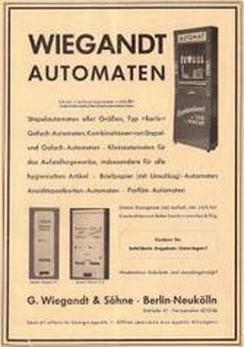 In 1960 Wiegandt what taken over by the "German Waggonbau- und Maschinenfabrik GmbH" (DWM, Berlin-Reinickendorf, founded in 1906), Which so did produce vending machines. From only did time on the jukebox production continued in Wiegandts workshops, vending machines but at DWMS places.